'Better late than never' is a pretty uncommon phrase when it comes to the gaming industry. When a game misses its chance to be released in a territory it's pretty commonly shelved, relegated to the used game shops in its home country, eagerly snapped up by a foreigner who happens to spot it during a random trip. There were a ton of titles back in the day that for whatever reason didn't come stateside during the SNES and PS1 era that had me cursing my American-born heritage, being young and stupid, it made sense at the time. Now I'm a little older, companies are a little wiser, and some, like Atlus, are reaching into their vaults to pull some games out of retirement to give them a shot in the West. With Shin Megami Tensei: Devil Summoner: Soul Hackers (henceforth Soul Hackers because that name is far too long) Atlus is getting a chance to right a Sony wrong (they initially shot down the effort to bring it stateside in 1999) that has stood for over a decade. With the PlayStation port enhancements, and some 3DS specific updates, Soul Hackers is finally here, and despite being about sixteen years old, it holds up surprisingly well. Amami City, what was once a small town is now a technological wonderland. 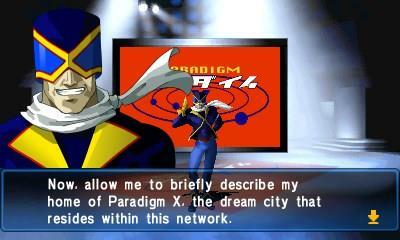 A redeveloped land that now houses a huge populace and is a model for a connected society, everyone has a PC, connections are high speed, and the virtual world, Paradigm X is the new hotness among the people, giving them new ways to connect. It seems like a utopia before you and the Spookies, a group of hackers, start uncovering some of the seedier elements of this electric playground. There are plenty of groups out there vying for control of Amami City, the Phantom Society and their summoners who call forth demons to do their bidding, the Kuzunoha who aim to stop them, even the city planners have a hand in some of the unseen struggles that threaten the town and its citizens. As the unnamed silent protagonist, you'll work with the Spookies and their newly acquired COMP device that calls forth demons, and the amnesiac demon Nemissa as they get sucked in to this dystopian cyber-punk adventure. The roughly forty hour adventure covers a number of districts of Amami City, but most of the time you'll be exploring indoors, much like the recently released Etrian Odyssey, or the first Persona game released for the PS1. 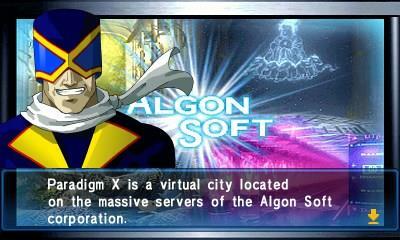 Soul Hackers features the first person viewpoint for dungeon exploration. The first person view on the upper 3DS screen, coupled with the map displayed on the bottom screen makes navigating the dungeons a breeze, and there's the ability to set waypoints or even hack the map to just display it in its entirety from the beginning, adjusting the difficulty for those who are new to the series. 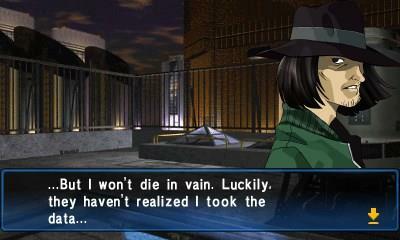 Soul Hackers is probably the most accessible Shin Megami Tensei game I have ever played, it allows for a number of options that can be toggled to follow some of the series' strict rules or to ignore them for the sake of difficulty. 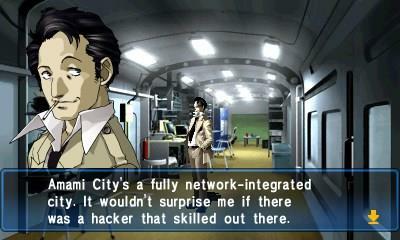 As a game from 1997 there are some archaic design choices in Soul Hackers. Save points are sparse and spaced out quite a bit from each other, though there is a tool that can be used to allow you to save anywhere, which is a must, but it will take up valuable space in your COMP tool that allows for other gameplay alterations that could be more helpful. 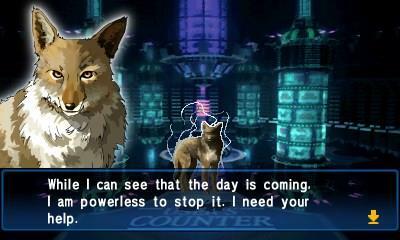 Not to mention is protects you from one of the greatest threats, the dreaded 3DS battery. There are still those tricky one-hit kills with skills like Hama and Mudo that the game likes to hand out from time to time, but there are plenty of tools to get around them, it just gets annoying to get served with one of those one hit kills and go through the loading process. If there is one thing that kills me in an RPG these days, it's the game over screen, back to the main menu, and then load your data again, all to sit through a log of text, and an unskippable video to get back to the fight I was just so rudely booted out of, nothing makes me want to put a game down faster. It would have also been nice if the game had a better way of displaying when I had skills or shields in place that would block those skills, or even let me know when my shields had gone down. For all the negatives that come with being an old game there are some nice additions that take advantage of the 3DS hardware. There's the obvious inclusion of 3D, which has been applied to just about everything in the game, including some of those CG segments (OH MAN 1997 CGI Y'ALL!! ), and in a few places the game actually looks better in 3D rather than 2D, but then there are times where the battle backgrounds combine with the 3D to produce some truly nauseating effects. 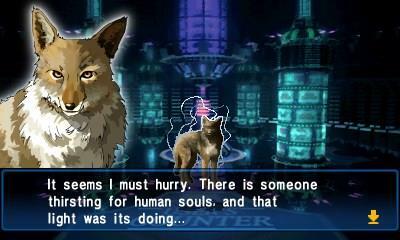 The game also takes advantage of Street Pass functionality and allows players to trade in their Play Coins for D-Souls, which can be used to power up the little demon helper Nemichi, or you can trade D-Souls for some exclusive demons, some of which have different skills from their normal counterparts. 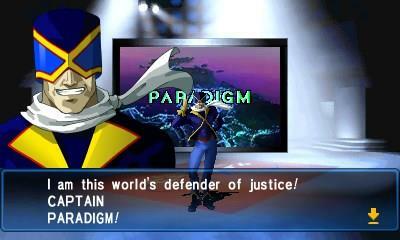 There's also a New Game Plus mode, along with cameos from a Devil Summoner legend, PS2 gamers just might recognize him. 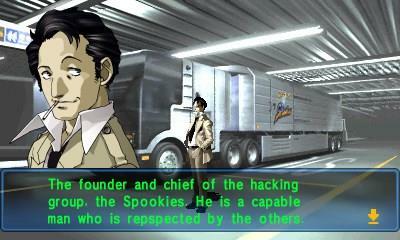 Soul Hackers is a pretty decent looking game, and holds up well with other portable games released for the franchise, it might take some getting used to the style characters had in the 90's, like Lunch's outfit and dreadlocks. The 3D effects are pretty spot on, and the differentiated attacks in battle look pretty good. The old embedded CG video from a still image technique is used in full force in Soul Hackers, which is cool, but I wish it were skippable, especially when I just want to buy some armor or sell some Magnetite (the game's secondary currency that is used to summon demons). The audio is also decidedly stuck in the 90's but it works quite well, though none of the tracks are really memorable. The voice acting is good for the most part and is a great addition to the game. If there's one thing I'd have to harp on though, it's the confirmation sound that has to play after every button press I make to advance lines of text, man do I wish I could turn that off, it just happens to be at that one note that grates on me incessantly and drove me to turn the volume down for a majority of the game. 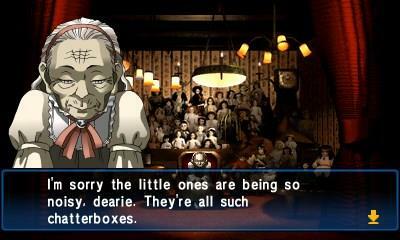 I spoke before of this game being a product of its era, but it also comes with an incredible amount of depth to it. The management of demons in Soul Hackers is actually surprisingly engrossing and I wish some of the newer games had this in place. You don't just get to pick up demons and have them in your party, there's actually a process of courtship behind it. Some demons, sure they'll come along because it seems like fun, but you've got the ability to talk with them, and some will be rather pragmatic about the situation they find themselves in, some will panic, some will be straight up nuts and will attack with what seems like little provocation. Others might want money, or items, or just to simply have a conversation about something mundane, like how the main character's hair looks. But let's say you manage to get that demon to join you, hopefully he's of a proper alignment, because yes even that is taken in to account. So if I've got a Chaotic Evil demon in my party, there's no way that Lawful Good Arch-angel is going to want anything to do with me. Some demons also have a good memory and if you've done them a solid in the past they'll typically reward you in kind, either by joining you, or by giving you items, or even heal you. Then to top it off there's the loyalty system. 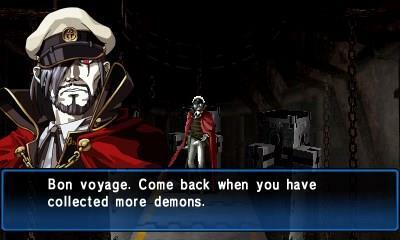 Once a demon joins you you'll want to do your best to keep them happy. This can be done by giving them gifts or by playing to their personality type. If you've got a wild demon in your party you're best off charging him headlong in to battle, while a sly demon might want to hang out in the back row and hurl spells at enemies. The higher a demon's loyalty gets the more effective they are in battle, and might even lend a hand in other ways, kind demons will sometimes take killing blows for you that might have otherwise ended your journey. This amount of depth will constantly keep you in rotation for the demons you want to use, since they don't level up like normal characters do. Instead you'll be fusing them together or into weaponry to increase your power. Soul Hackers is a difficult game to be critical of, because yeah it was originally released in 1997, and a lot of the advents of the past hardware generation weren't even conceived back then. So you get the occasional hiccup now and again, and it's easy to be really critical of it considering that Atlus took the time to go back to the well and add some things, you'd think they'd have time to address some of those other issues. But in the end Soul Hackers is a more than worthy addition to the Shin Megami Tensei line, as it was when it was released back in the days of the Sega Saturn. It's got a couple of antiquated gameplay design choices, but it also has that depth and story that makes games from the SMT series so enjoyable. 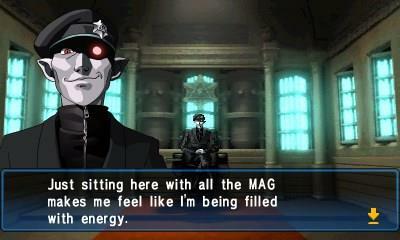 Soul Hackers may be a game from 1997, but it still feels like a fresh entry in the Shin Megami Tensei franchise. The cyber-punk story and compelling characters make for a great experience, and the accessibility of it all is just bonus.